There is a strange connection between vampires and fairies... In Ireland people were afraid of bleeding because they were scared that it would make the vampires hungry, elves in folklore stalked the night drinking blood from peoples breasts (See Vampiric Elves for More on this). Fairies were rarely bright, happy little sprites. Rather, they tended in tales and mythology to be much darker and dangerous and can in many ways be likened to vampires. Indeed, many fairies were the spirits of the dead which were often angry and at times blood thirsty. There is a Celtic tale and a Slavic tale about people who go to work for a fairy and a vampire respectively. In both these tales the person discovers that their master is going to attempt to steal someone's soul, so to prevent this they say bless you to the person when their master makes them sneeze. In other words both fairies and vampires took power over people by making them sick, and in Vampires and Fairies shared tales. Rusalka were often the spirits of dead women who would seek to drown their victims or steal their souls. 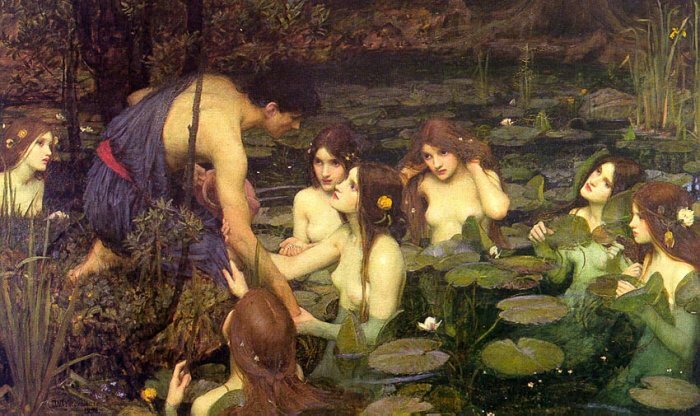 Similar to the Rusalka is the nymph of Greek mythology who would lure men to the water side in order to drown them. While in Celtic lore, the Glaistig were beautiful fairies with the legs of a deer or goat that would lure men to dance with them so that they could drink their blood. Worse still were the angry spirits of the unclean dead throughout Eurasia which trooped about and in Celtic lore were often called fairies and are associated with fairies by most scholars. These spirits of the dead were condemned to walk the world between heaven and hell, between the living and the damned, just as Vampires are supposed to be today. Further such dark spirits were often blood thirsty draining human life and or blood. In fact given that the writer of "Dracula" was Irish he was likely more inspired by the Celtic and Germanic fairies that drank blood than he was by the Eastern European Vampires. Part of the challenge in understanding the relationship between fairies and vampires is that words fairies and vampires are both amorphousness, altering meaning to fit the desires of society, further both terms are new terms which have drifted from their original meaning in a short period of time. 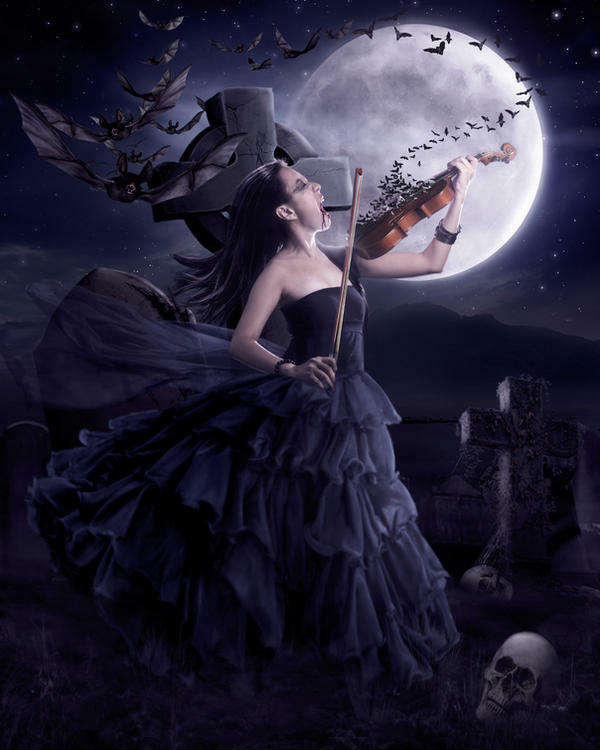 1- Both fairies and vampires are often times the spirits of dead people. 2-Both evil fairies and vampires can be kept at bay by running water, garlic (or other magical herbs), and the cross. 4-Both fairies and vampires would drink blood. 5-A human killed by a fairy or a vampire is often doomed to walk the earth as a similar spirit. What we see then is that there is a clear connection between some fairies and the mythology behind the vampires. This similarity runs so deep that one could argue that vampires are a form of fairy, either having come out of stories about fairies, having a similar source, or getting their stories mixed up and blended together. Interesting comparison about fairies and Vampires. It's strange that there are lots of similarities from culture to culture.